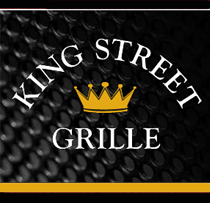 Celebrating the holiday season in Black & Gold! 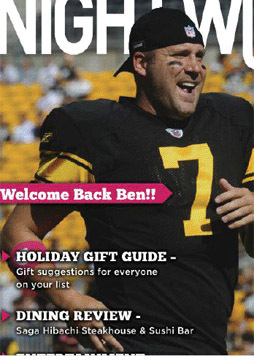 Steelers training camp in December? That’s what Sarah Swenson thinks about when she attends camp during the summer! 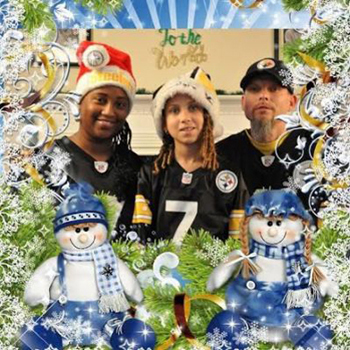 A Steelers Family Christmas card! John & Rochelle Kenny and their daughter Arielle pose in their favorite jerseys. John was born and raised in Mt. Oliver on the South Side. 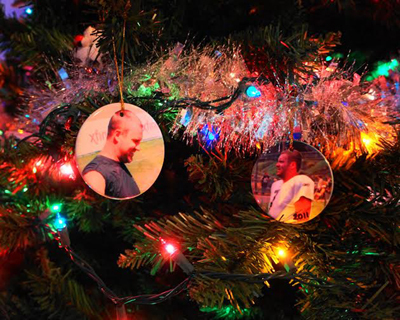 Is that a….a shoe in the family Christmas tree? Yes, it is! This is Mary Rafail’s shoe…or rather Ben’s shoe! Mary was one of Ben’s Birthday Wishes Drawing winners back in September of 2011. 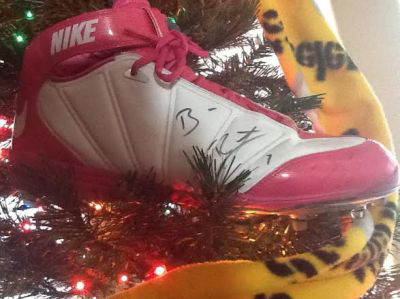 She decided her autographed shoe from Ben needed to take center stage on her Steelers tree! You can see Mary posing with her birthday shoe here! You can see a full photo of her Shoe Tree here! Wait! There’s more holiday cheer! 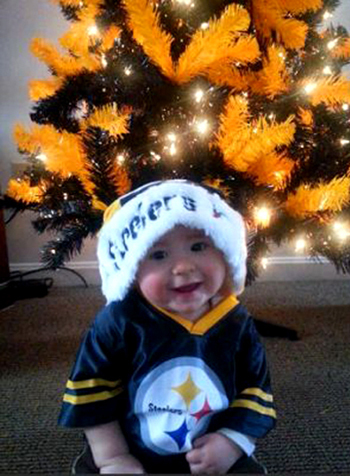 We have four pages of some of the best looking Steelers Christmas trees, a wreath, a rather overzealous elf, and of course, the best fans in the world dressed for the season all right here. 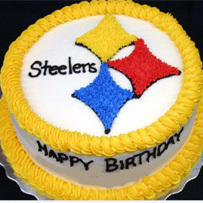 We also have some adorable Lil’ Fans, a groovy Lil’ Teammate, some funny Steelers Pets, and a few more big fans! 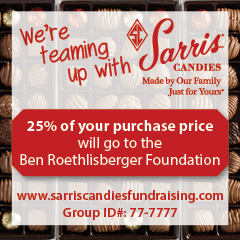 Check ‘em all out this weekend! 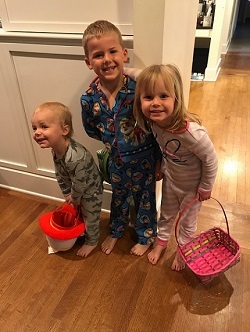 Thank you so much to all who sent their photos to share with us!